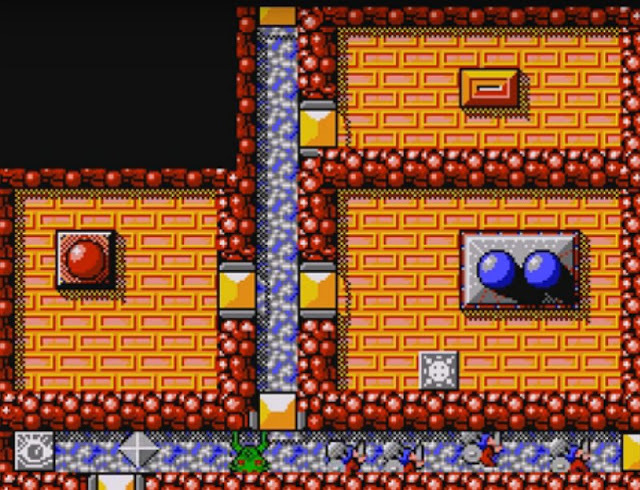 Indie Retro News: Atari ST game ' Ranarama ' WIP Amiga conversion by Galahad/Scoopex! Atari ST game ' Ranarama ' WIP Amiga conversion by Galahad/Scoopex! Not long into 2016 and already the Amiga scene is kicking it up a notch, as we've just learnt from our good friends Scoopex, of an Atari ST to Amiga conversion they have been working on with Galahad that is due at some point this year. The game is none other than ' Ranarama ' which not only appeared on the Atari ST but the Amstrad CPC, C64 and ZX Spectrum. The gameplay was basically a top down Gauntlet styled action game, developed by Craftgold in the late 80's and published by Hewson Consultants. Currently we don't have an official release date as there are a number of bugs still to be squashed and it's still in a beta phase, but if all goes well expect a release at the early part of 2016. Oh and also expect a really good cracktro/intro to go with this release as well, especially as it's Scoopex!